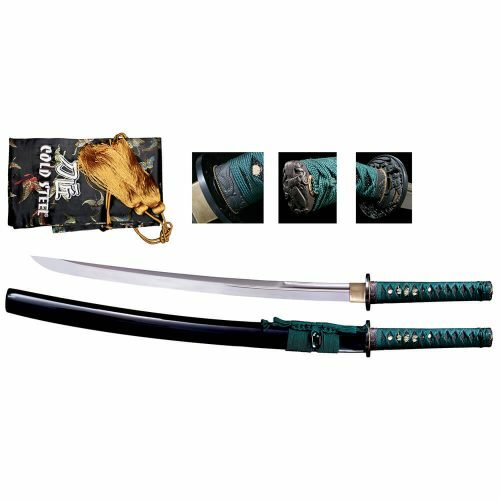 Includes Maintenance Kit, Hang Tag, Sword Bag and Certificate! 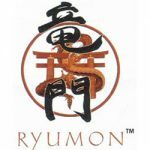 Another high value sword from Ryumon, the Ryumon Dragon Katana is a true collector’s piece. 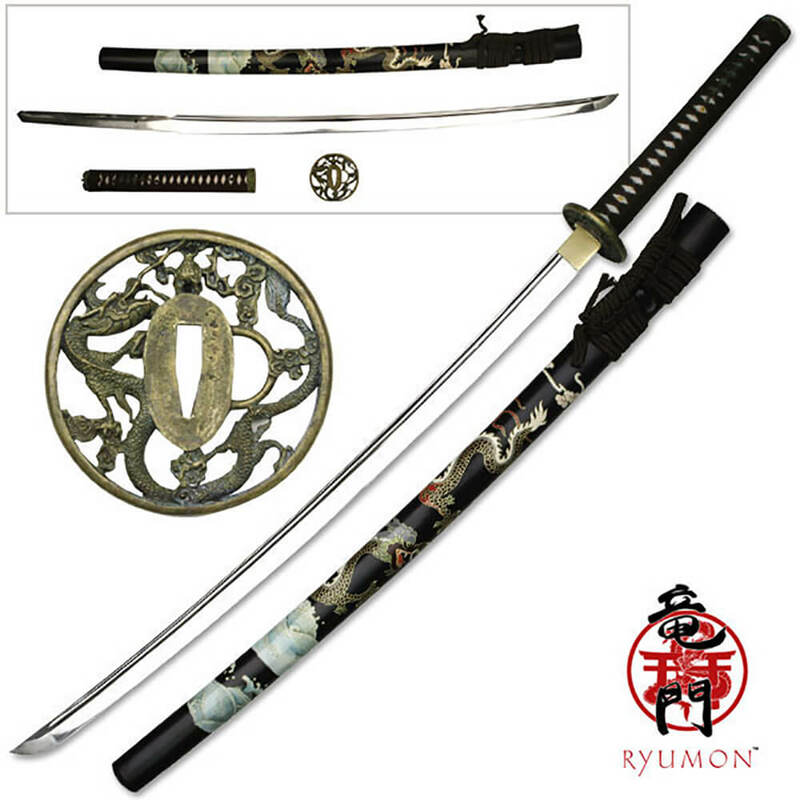 The hand painted saya sets this sword apart and will make it a treasured addition to any enthusiast’s collection. The hand forged, differentially tempered, high carbon blade is razor sharp and the fittings are high quality with an antiqued finish. 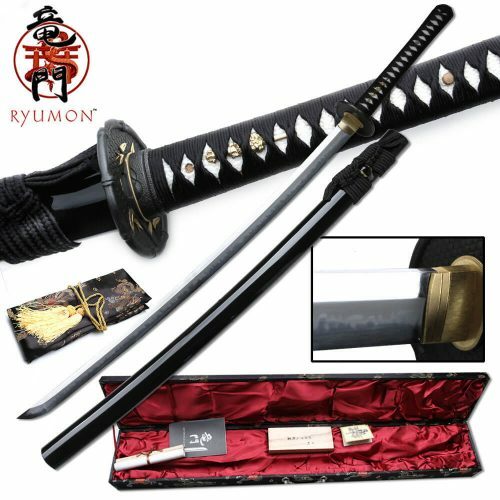 This sword is great for practice and also makes an impressive display piece as well. 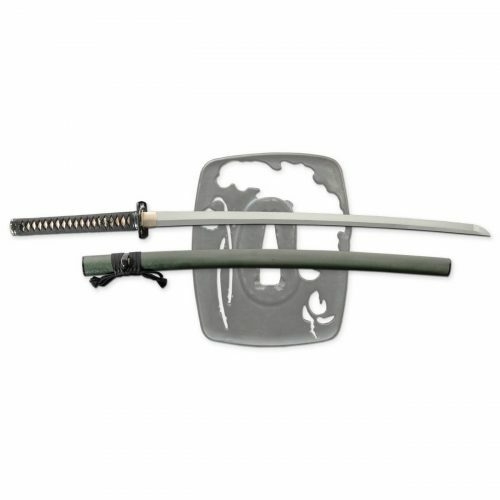 This is a sharpened, battle ready katana. 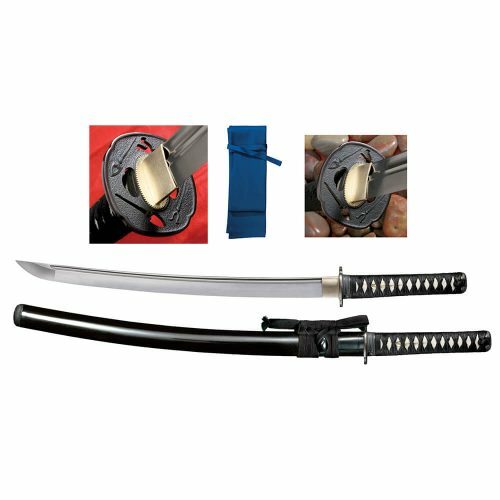 You must be at least 18 to order this Samurai sword.